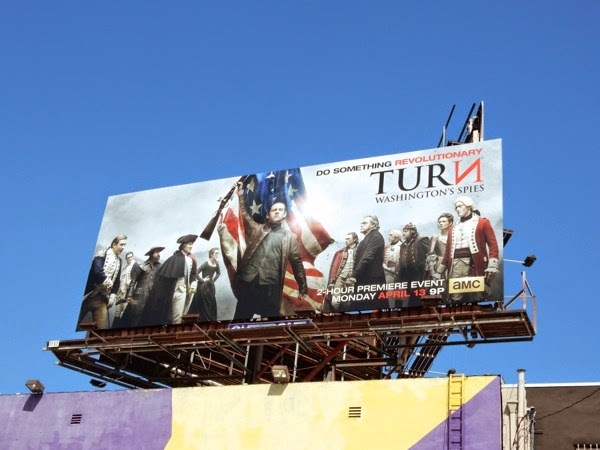 Jamie Bell and the revolutionary cast of AMC's Turn return for a second season this Spring, along with the subtitle Washington's Spies to help provide some clarification on what the drama is all about. 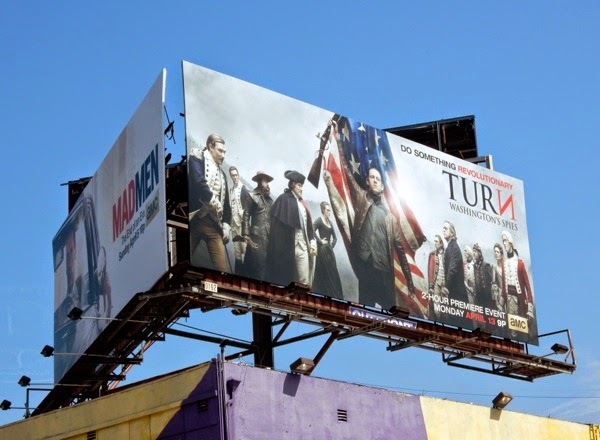 This season things get even more complex and treacherous for these Revolutionary War spies, aka the Culper Ring, as they take on His Majesty's army to help secure America's independence from the British Empire. 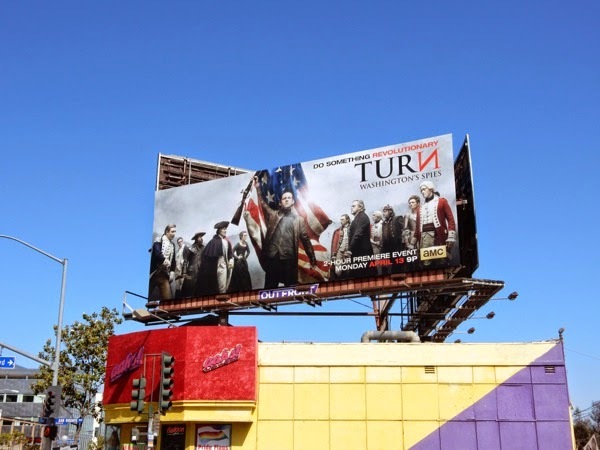 This sophomore season Stars and Stripes billboard for Turn was spied along San Vicente Boulevard at Sunset Boulevard on March 19, 2015. 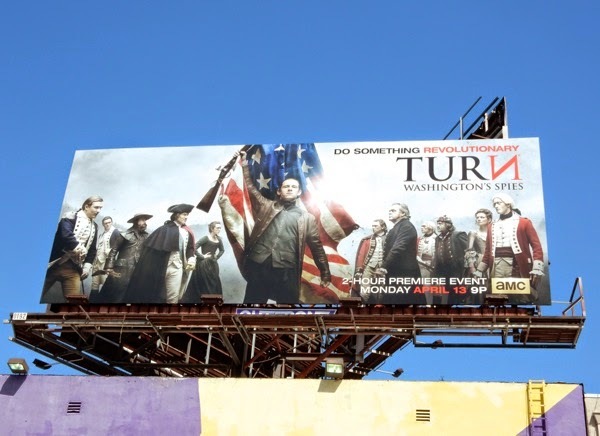 If you're a fan of the period spy drama, be sure to also check out this Turn season one billboard from last April. 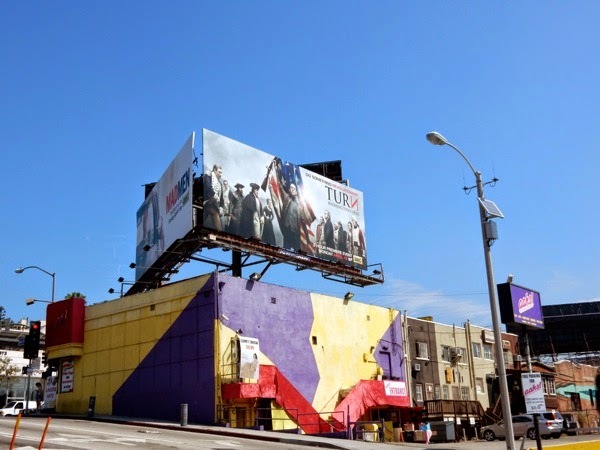 For more patriotic U.S. flag waving ad creatives, you can also take a look at these Captain America movie billboards, State of Affairs TV series billboards and these Sons of Liberty mini-series billboards. 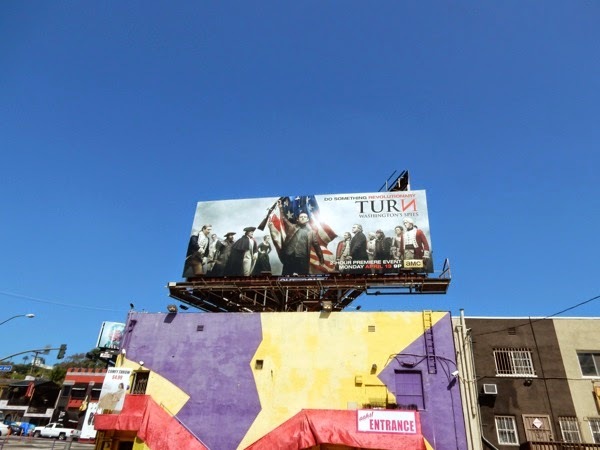 UPDATED: Here's an extra billboard for the second season of Turn literally around the corner from the other one along the Sunset Strip on April 9, 2015.